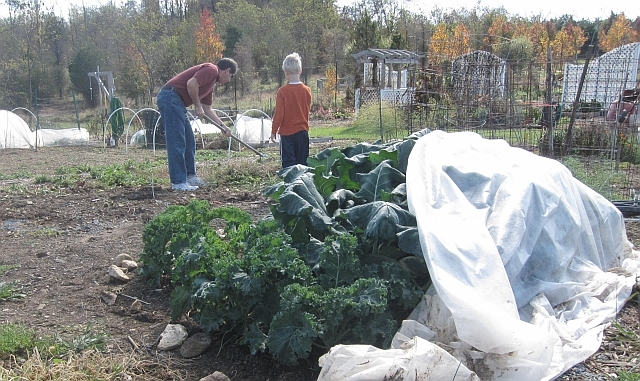 We have Kale, Broccoli, Fennel, weeds and wooly bear caterpillars growing in our community garden plot now. 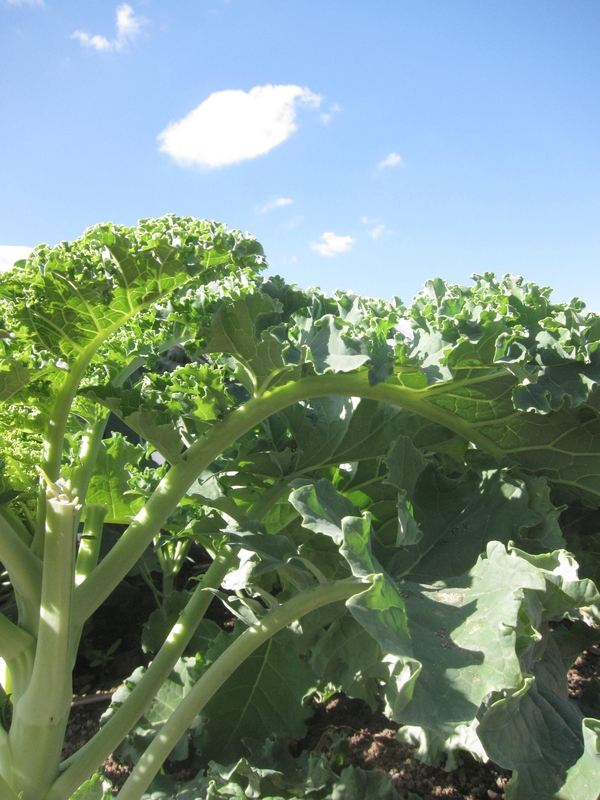 Last weekend, we pulled the weeds, picked a pound of kale and found a couple of baseball sized broccoli bunches sprouting. The row covers are keeping the bugs off the plants, but I did see a brown and black fuzzy caterpillar wiggle toward the green plants when I took off the row cover for a moment. My son informed me, ” its a Woolly Bear caterpillar.” He learned about it at the Howard County Conservancy Nature camp he attended last Friday. I thought he invented the cute name, until I researched it online. 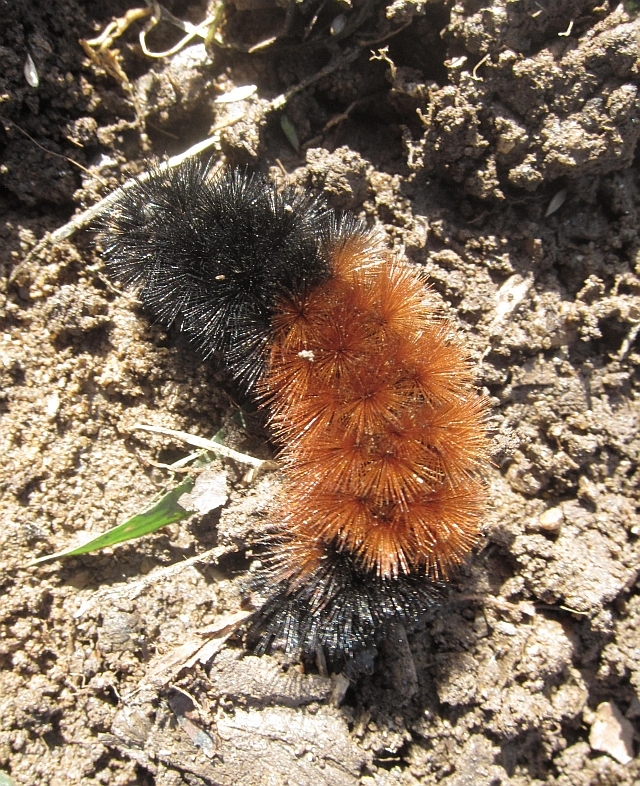 Check out this blog for lots of facts about the Woolly Bear. I learned it is not a pest in the garden and it hibernates over the winter by producing a sort of anti-freeze. My son discovered it tickles, too. He scooped a rolled up woolly bear into his hands, then quickly dropped it when it uncoiled and started to move. Eeeeeeeeekkkkkkkkkkk!!!!!!! I almost stepped on the Woolly as I picked two kale plants down to stem skeletons. I left the stems in the ground, curious to see if they will get new growth. Later that day, a friend told me that homemade kale chips are delicious. I found an easy recipe on the gluten-free cooking website, Elana’s Pantry. Hoping my son would like the nutrient rich kale chips as much as Elana’s sons, I tried the recipe. The chips were thin and crisp, similar to roasted seaweed. There was a good chance my son would like them since he likes roasted seaweed. “Mom! this is not seaweed, yuck!” He did not like the kale chips, but my husband and I did. We ate them all. They were light and tasty!